This felt more like a homecoming – one gig, one town, one night. Disappointing if you live in the far reaches of Wick in Scotland, but somehow more invigorating perhaps, as it ensured an enthusiastic crowd of true diehard fans willing to travel some distance and therefore adding to the occasion and atmosphere. The "Friday Factor" helped and with next day of work forgotten and drinks that flowed, this was a time of undoubted celebration and enjoyment. One of America's most popular Rock bands had just strolled into town and with a cocky swagger that sat alongside a hit album that included several hit singles, both Christian and mainstream, Skillet appeared to be at the top of their game. I can quite honestly say that I've never been to a concert before where the atmosphere has been so electric. Quite simply, this was as good a set as I've heard from any band; tight, professional and totally in tune with its audience. From singer John Cooper's repartee through to the selection of songs – all culled from the last four albums – it was party time from the start to finish of the ninety minute set. Seventeen songs flew by and if Skillet had opted to play more after the encore of 'The Resistance', everyone would have been more than happy to stay all night long. With the set book-ended by that and 'Invincible' (from the superb 'Unleashed' release), we were treated to what amounted to a "greatest hits" set. 'Hero' saw drummer Jen Ledger front of stage and as she sang with Cooper a roadie banged out the necessary rhythm on her kit. Ledger is Skillet's unsung hero (geddit?? ), capable of singing like an angel as she simultaneously added the signature back beat. Her vocals were the perfect counterfoil to Cooper's brazen rasp; ably demonstrated on the rousing version of 'Awake And Alive' or during the emotional 'Not Gonna Die'. Not only does Ledger offer the light and shade to the band's flowing melodies, she also provides quite stunning backing vocals as witnessed on the uplifting 'Stars' or the brilliant rendition of 'Comatose'. On the former the crowd sang the lyrics so loudly that I think even Cooper was taken aback by the volume level. The new songs stood up well live, the frantic 'Back From The Dead' and 'Undefeated' provided evidence – if any was really needed – that this band Rock like a beast in a live environment. The former was particularly memorable as Cooper bantered and encouraged the crowd to join in with the "ba ba ba ba ba ba bad" refrain. 'Comatose' – arguably the band's best album, although not their most successful – featured heavily in the choice of songs. Cooper-approved classics like 'The Last Night' and 'Re-Birthing', a song that he describes as "special", were given a vibrant airing, but that same vibrancy could have easily applied to the entire concert. 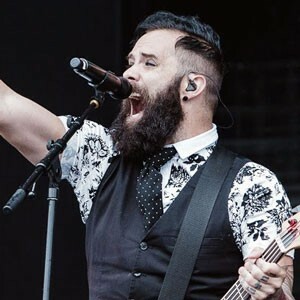 Skillet has already gained great success in America and, much like Iron Maiden's army of fans, there's great loyalty amongst their followers (collectively known as Panheads). It still remains a mystery why such a fantastic band has yet to gain popularity on this side of the pond, but that may yet happen and Skillet could have even bigger fish to fry sometime soon.